Expedia can help you save with a Charlevoix travel package. With all that extra cash in the bank, you might even like to book a few extra nights. As much as C$590* can be saved when you arrange your package deal on Expedia. With us, you have more than 400 partner airlines and 321,000 worldwide properties to choose from around the world, which means your dream vacation is right at your fingertips! You never have to worry about altering your group's vacation plans, as we don't charge additional cancellation fees for almost all of our bookings. We've got all the sizzling hot sightseeing tips for your upcoming trip to Charlevoix. Grab your travel planner and prepare to start topping up that itinerary. The wider region offers lots of opportunities for outdoor adventures. Why not do a little snowboarding while you're in the area? Still got some time to spare? Skiing is another activity to stick on your itinerary. There are presently no Charlevoix properties on Expedia. However, Notre-Dame-des-Monts, located 13 miles (21 km) away, has a range of options on offer. The best options in Notre-Dame-des-Monts are the Domaine De La Coulée and L'Aubergine. No one loves wasting time at the airport. But it's worth it when you remember the trip that's in store! Based 50 miles (80 km) east of Charlevoix, Riviere du Loup Airport (YRI) is the closest terminal. 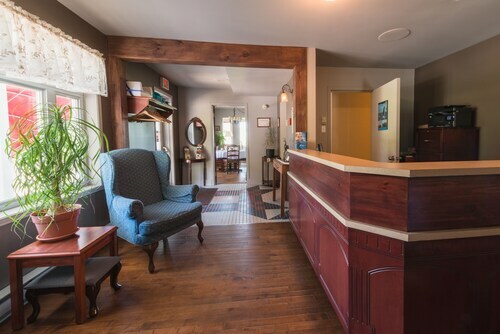 Located in the heart of Baie-St-Paul, this hotel is within 2 mi (3 km) of Contemporary Museum of Art, Arena Luc et Marie-Claude, and Galerie Clarence Gagnon. Les Jardins secrets du vieux moulin and Golf de Baie-Saint-Paul are also within 3 mi (5 km). 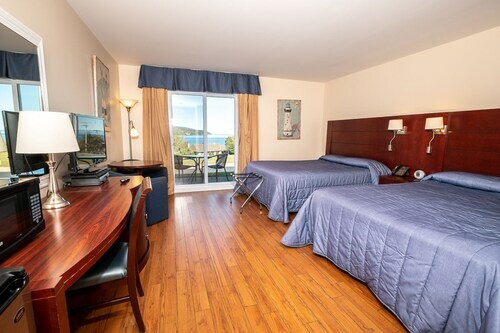 This family-friendly La Malbaie hotel is located by the sea, within 1 mi (2 km) of Charlevoix Museum and Charlevoix Casino. Observatoire astronomique de Charlevoix and Murray Bay Golf Club are also within 2 mi (3 km). 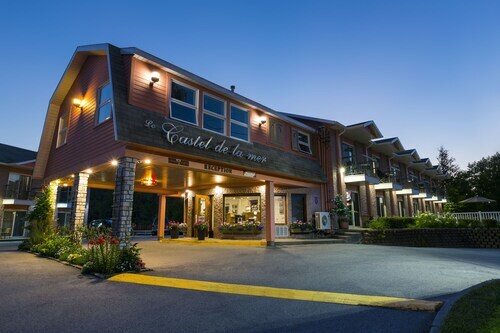 Situated in La Malbaie, this hotel is within 1 mi (2 km) of Charlevoix Museum and Charlevoix Casino. Murray Bay Golf Club and Observatoire astronomique de Charlevoix are also within 3 mi (5 km). 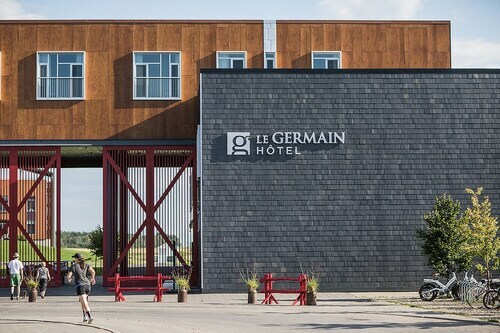 This family-friendly Baie-St-Paul hotel is located on a river, within a 10-minute walk of Contemporary Museum of Art, Galerie Clarence Gagnon, and Arena Luc et Marie-Claude. Golf de Baie-Saint-Paul and Les Jardins secrets du vieux moulin are also within 2 mi (3 km). Located in the heart of La Malbaie, this golf motel is 0.2 mi (0.3 km) from Murray Bay Golf Club and 1.3 mi (2.1 km) from Charlevoix Casino. Charlevoix Museum and Observatoire astronomique de Charlevoix are also within 3 mi (5 km). 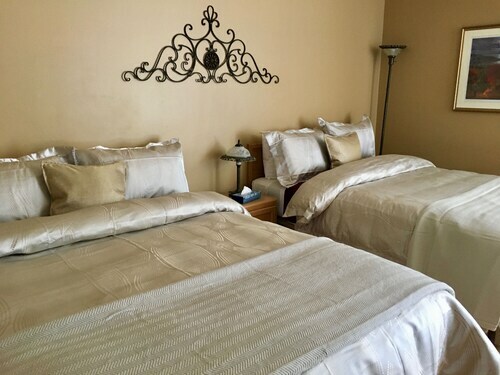 Located near the slopes, this Petite-Riviere-Saint-Francois bed & breakfast is within 16 mi (25 km) of Golf de Baie-Saint-Paul and Le Massif de Charlevoix and close to winter sports such as cross-country skiing and snowshoeing. Contemporary Museum of Art and Arena Luc et Marie-Claude are also within 16 mi (25 km). 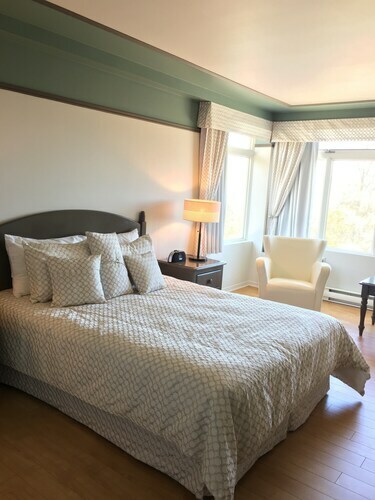 Located in the heart of Baie-St-Paul, this golf motel is within 1 mi (2 km) of Golf de Baie-Saint-Paul, Galerie Clarence Gagnon, and Arena Luc et Marie-Claude. Contemporary Museum of Art and Les Jardins secrets du vieux moulin are also within 1 mi (2 km). Situated in La Malbaie, this hotel is within a 15-minute walk of Charlevoix Museum and Charlevoix Casino. Murray Bay Golf Club and Observatoire astronomique de Charlevoix are also within 2 mi (3 km).